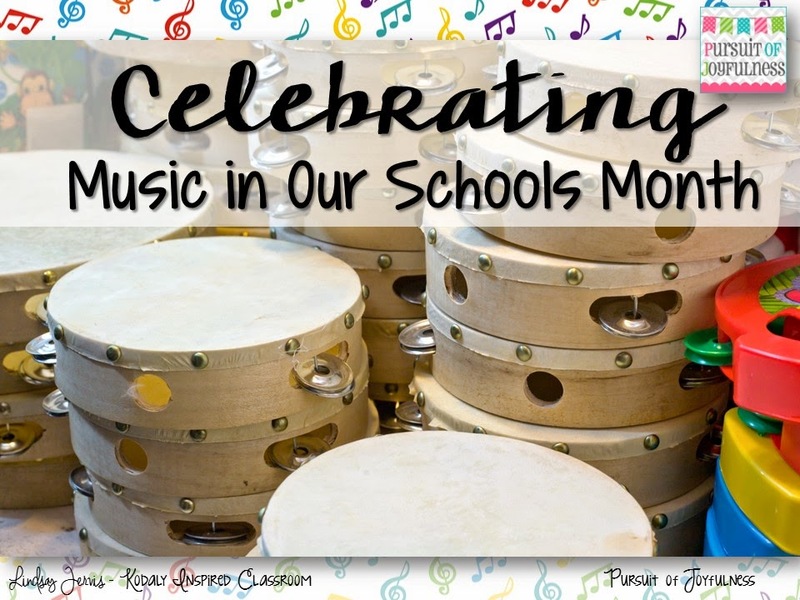 If you are looking for ideas to celebrate Music In Our Schools Month (MIOSM) with your kiddos, I pulled together some of the ideas that I am doing to share with you. 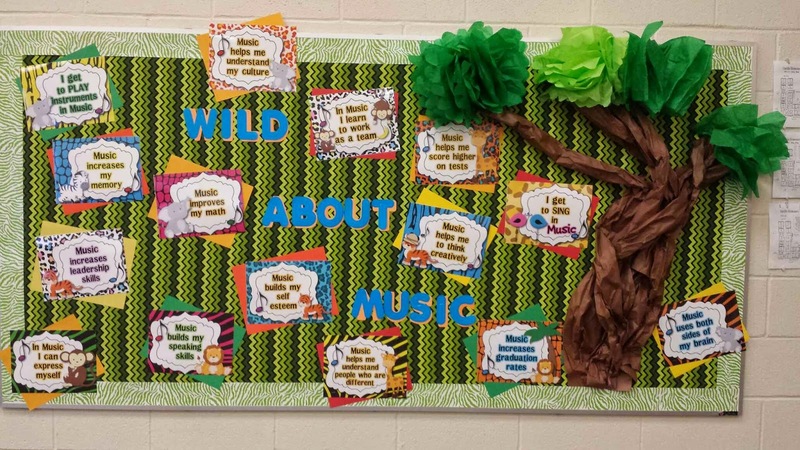 I finished hanging my "Wild About Music" bulletin board a couple of days ago. 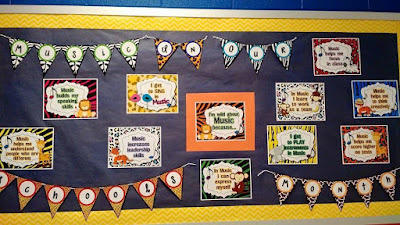 I used fabric as the background, die cut letters I already had on hand, posters from my "Wild About Music" bulletin board set, backed them with construction paper. The green animal print border trim was actually the reverse side of the trim I had used on my nautical set. Love that when you can get extra bang for your buck! I made the poms by hand from tissue paper and the tree is made out of brown butcher paper that we had on hand in the supply closet. 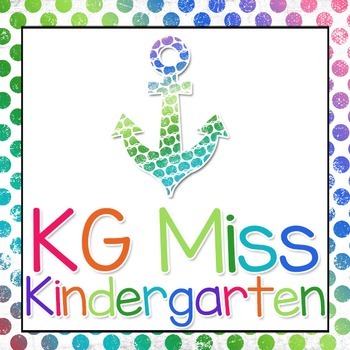 I had to have a kindergarten teacher show me how to do the tree like this, but basically you just tear off long strips, roll them to make a tube and then twist and crinkle. Let me know if you need more explanation or a tutorial on it! 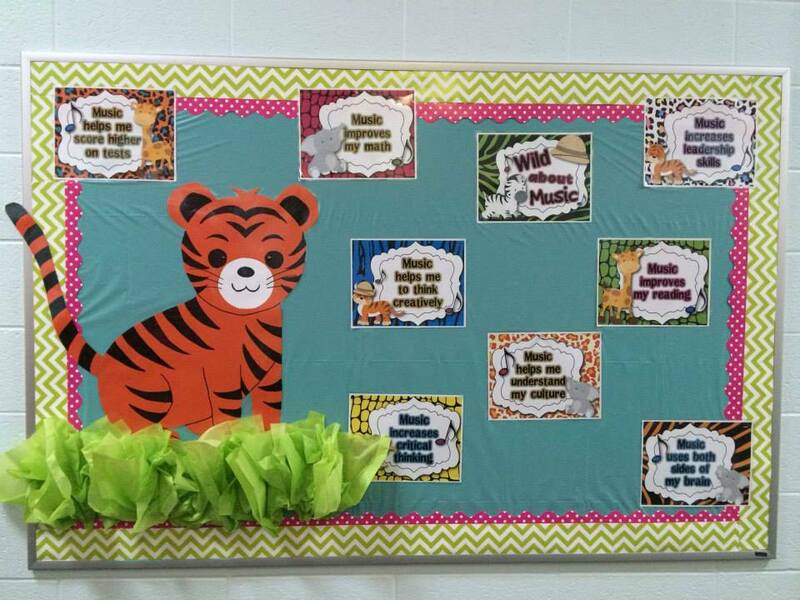 Here are some pictures I have received from other teachers who have used this set on their bulletin boards! Out in the hallway, I just put up a "Who Am I?" display. I used Tracy King's (FREE!) 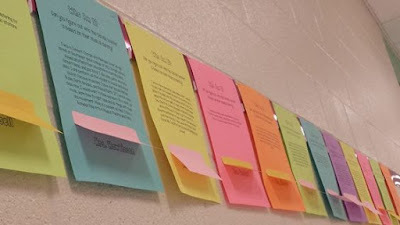 staff survey to find out more about each of our staff members (what instruments they played, if they were ever in band/orchestra/choir, what kind of music they listen to, if they still enjoy going to performances, etc.) I learned a lot of new things reading through them. 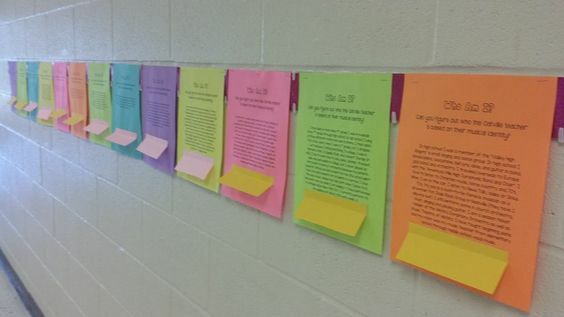 I typed up a paragraph for each teacher and had them printed on colorful paper. I cut construction paper to cover the teachers' names so that the kids will read the paragraph and try to guess who the teacher is, then lift the flap to see if they are right. I am excited for the kids to see it next week. Even the staff members have enjoyed learning more about each other's musical identities. 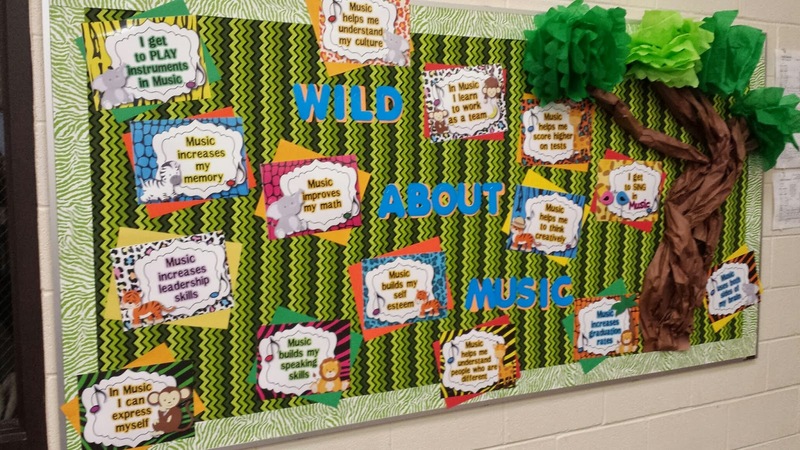 I especially love how it shows my kids that even though these teachers didn't grow up and become professional musicians or music teachers that music was still a really important part of their high school/college career and that many still do regularly attend concerts, musicals, etc. It might be fun to try at YOUR school. If you want to use my template for my typed up paragraph pages (this is not what the teacher filled out. 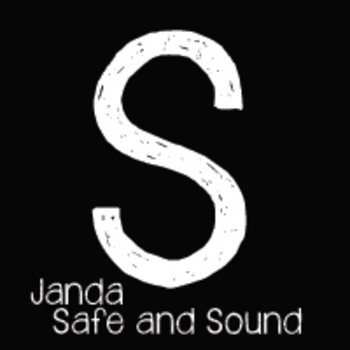 For that I used Tracy King's free staff survey), click here. You will need to install the following fonts on your computer if you want it to look like mine, or just choose your own fonts. What are you doing for MIOSM?